ThermHex is a revolutionary new material made from a Polypropylene Honeycomb Core. 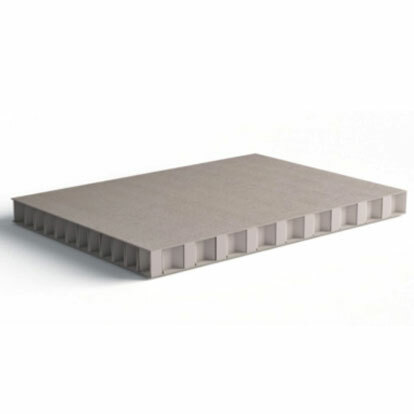 Can be ordered in standard and bespoke sizes exclusively from Panel Systems Ltd.
ThermHex is an innovative polypropylene honeycomb core primarily used in the production of lightweight sandwich panels and fibreglass components. ThermHex is a revolutionary material that has two very specific properties – being both lightweight and strong. Made from a Polypropylene (PP) honeycomb, it is suitable for a wide range of applications including automotive, truck bodies, the marine industry, OEM, industrial equipment, water jet cutting, caravan markets, plus many more. It is produced using an innovative, patented process which ensures rigidity in terms of its mechanical strength and stability. 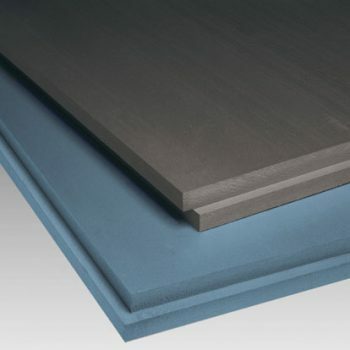 ThermHex sheets are resistant to chemicals and moisture and therefore offer durability and longevity. The material is 100% recyclable, as part of ensuring ethical and sustainable sourcing of materials. 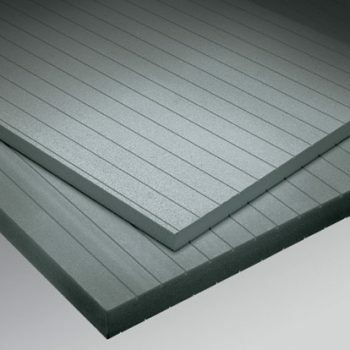 ThermHex sheets are finished with a polypropylene barrier film. This film avoids the resins or adhesives to ingress into the open cells during converting and in this way assures stable mechanical properties in the finished part. At the same time, the quantity of resin / adhesive needed for processing is kept to a minimum. The second standard surface finish is a PET non-woven material, which enables easy bonding of various types of skin materials with all common adhesives. ThermHex is produced at a standard density of 80 kilogram per cubic meter (5.0 Lbs / ft³). For applications with lower requirements to compression strength, ThermHex offers a lighter core with a density of 60 kilogram per cubic meter (5.0 Lbs / ft³). ThermHex can be ordered in standard and bespoke sizes exclusively from Panel Systems Ltd.
ThermHex sheets are available in thicknesses from 3.5mm to 28mm with cell sizes from 3 mm to 9.6 mm. Standard thicknesses are: 3.5, 6, 8, 10, 12, 15, 18, 20, 25 and 28 mm. ThermHex is available in the standard sheet size of 2500mm x 1200mm or can be cut to size, if required. Bespoke sheet sizes up to 7500mm long are available subject to minimum production quantities. We can also bond the material to a range of facing materials, such as metals, plastics, timber and decorative laminate to offer benefits in terms of aesthetics, strength and lightness. At our two manufacturing plants in Yorkshire, we have the latest 3 & 5 axis CNC equipment and offer customers the ability to manufacture bespoke sandwich panels with ThermHex as the core. This includes bonding with both polyurethane based adhesives. We have an extensive range of vacuum and platten presses for the manufacture of composite panels. Our fabrication capability includes three CNC routers, metal shearing and folding, aluminium welding and hot-wire foam cutting. We offer a comprehensive CAD design service, which includes accepting customers’ own drawings in a range of file formats and producing a workable panel or component to meet bespoke requirements. Our in-house CAD/CAM facilities ensure we can provide rapid prototyping to suit customer needs, as well as undertaking both large and small production runs.